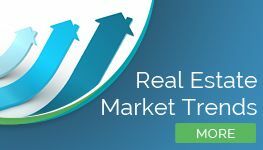 (SanDiegoRealEstateBuzz) – As the weather continues to heat up, so does the San Diego housing market! Historically, home sales rise during the summer, and last month appears to be no exception to that rule. However, with average days on the market down and home sales (and interest rates) on the rise, sales prices remained relatively flat. All these factors indicate that there's plenty of opportunity for sellers and buyers alike, but that buyers shouldn't wait to long to make their move in a hot market. Homebuyers started off the month with 5,649 homes from which to choose, an almost 2 percent increase over the previous month. Of these, we saw the greatest increase in the quantity of detached homes, which increased by more than two percent, from 3,963 in May to 4,055 in June. The quantity of attached homes increased as well, rising by just more than 1 percent from 1,577 in May to 1,594 in June. Looking back to June 2017, we see that the number of homes for sale increased by 8 percent year-over-year, continuing an upward trend. 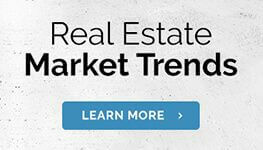 The number of homes sold last month continued to rise, as well. In May, a total of 3,146 homes were sold, representing an almost-six percent increase from the previous month's total sales. Detached home sales increased by 7 percent month-over-month, from 1,936 homes sold in April to 2,073 homes sold in May. The number of attached home sales grew as well, increasing by more than 4.5 percent from 1,025 sales in April to 1,073 sales in May. In May 2017, a total of 3,433 homes sold; this represents an 8 percent decrease in sales year-over-year. The number of average days spent on the market dropped slightly from April to May. Detached homes took 27 days to sell in May, as compared to 29 days in April or a 7 percent decrease. Attached homes also spent two days less on the market, dropping from 24 days to 22 days. In May 2017, detached homes spent an average of 29 days on the market, while attached homes sold in about 20 days. From April to May, the median sales price of a detached home rose slightly, from $645,000 to $650,000 in an increase of less than 1 percent. Year-over-year, the median price of a detached home rose by ore than 5.5 percent, increasing from $615,000 in May 2017 to $650,000 in May 2018. As for attached homes, the median sales price decreased by just over .5 percent from April to May of this year, dropping from $425,000 in April to $422,000 in May. 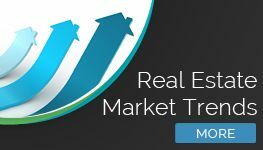 Last May, the median sales price of an attached home was $395,000, which represents a 6 percent increase in price over the last 12 months. This month, interest rates continued their upward trend, increasing from 4.41 percent in May to 4.46 percent in June. In the same time period in 2017, interest rates were at 3.75 percent. 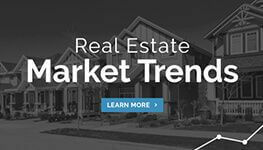 With home sales increasing, days on the market decreasing, interest rates on the rise and home prices showing an overall upward trend, now is the time for buyers to make their move. It's a seller's market, so don't wait too long to put in that offer!